Whether you are a complete beginner or experienced, I invite you to join me in developing your skills as I help you to learn the techniques for creating beautiful cakes. Classes are limited to 4 students at a time to enable me to give full attention and support. All equipment and materials needed for the classes will be provided for you to use on the day and you will be able to take your work home with you. Drinks will be provided throughout the day. A lunch will also be included for classes that are a full day and on each day for classes that are more than one full day. It is recommended that you aim to arrive 15 minutes prior to the class starting so that you have time to settle in and don’t miss anything. Classes are held in the village of Preston near Hedon and the address is 5, Eldon Drive, Preston, Hull, East Riding HU12 8XH. We are in a residential area where there is plenty of free parking. The nearest train station is in Hull. If you require a taxi from Hull please call Hull Cars on 01482 828282. The nearest hotel is Kingstown Hotel, Hull Road, HU12. Classes must be paid in full at time of booking unless stated otherwise. Please make sure that you check dates, times and travel arrangements before you book. I am unable to offer refunds or transfer you to another class should you wish to cancel. In the unlikely event I cancel a class myself a full refund will be given for the price of the class only. I ask that students do not take photographs or videos during the classes without permission. You will be able to take photographs of your work at the end of class. We may take photographs ourselves for promotional purposes. If you prefer not to have your photo taken please let me know. Please take reasonable care to respect our neighbours, premises and to use equipment in the proper way. Please do not bring any valuables. Boucakez shall not be held responsible for any loss or damage. 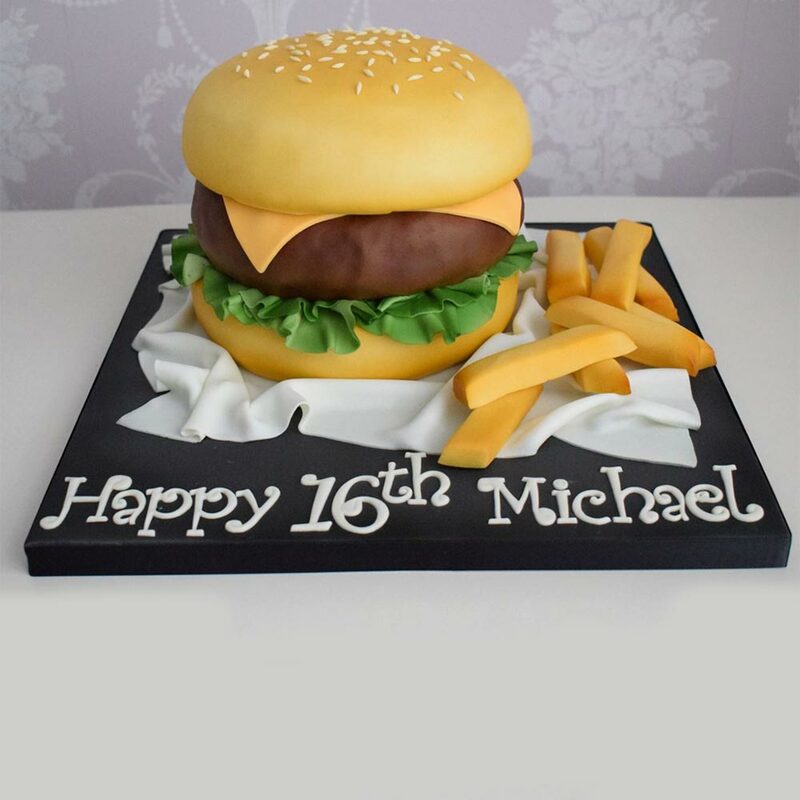 Come and make this larger than life Burger cake with Chips. In this class you will learn how to carve sponge cake, work with both fondant and modelling paste and master basic airbrushing skills to bring your creation to life. Please note cake will be provided already freshly baked for you to work on. All equipment and materials needed for this class will be provided for you to use on the day, so just bring yourself along. You get to take your work home with you. An Afternoon Tea style lunch will be provided as well as drinks throughout the day. 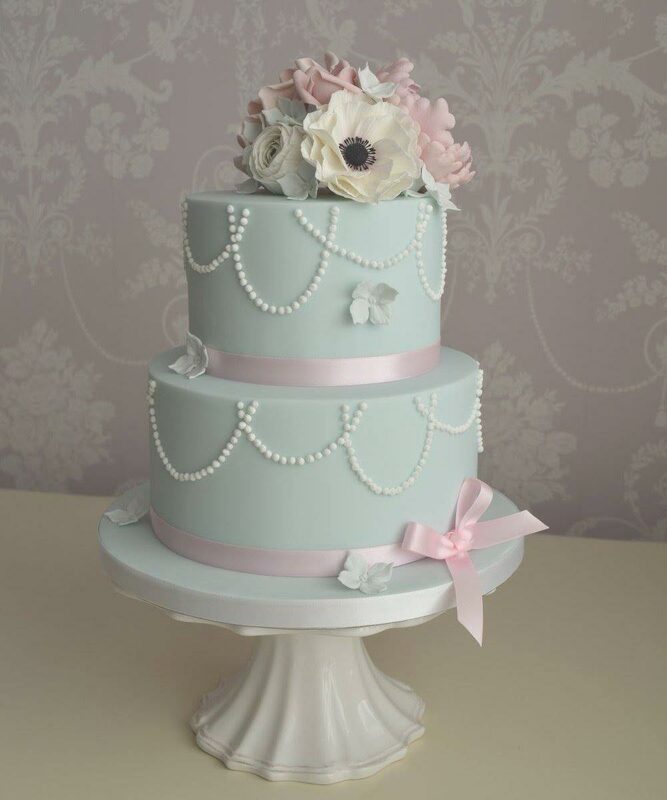 This class is suitable for beginners with a keen interest in cake decorating. Make a Boucake in time for Mother’s Day, which is Sunday 31st. In this class you will prepare travel proof container & wrapping for your bouquet. Then I will show you how to make lush vanilla buttercream and colour it up. 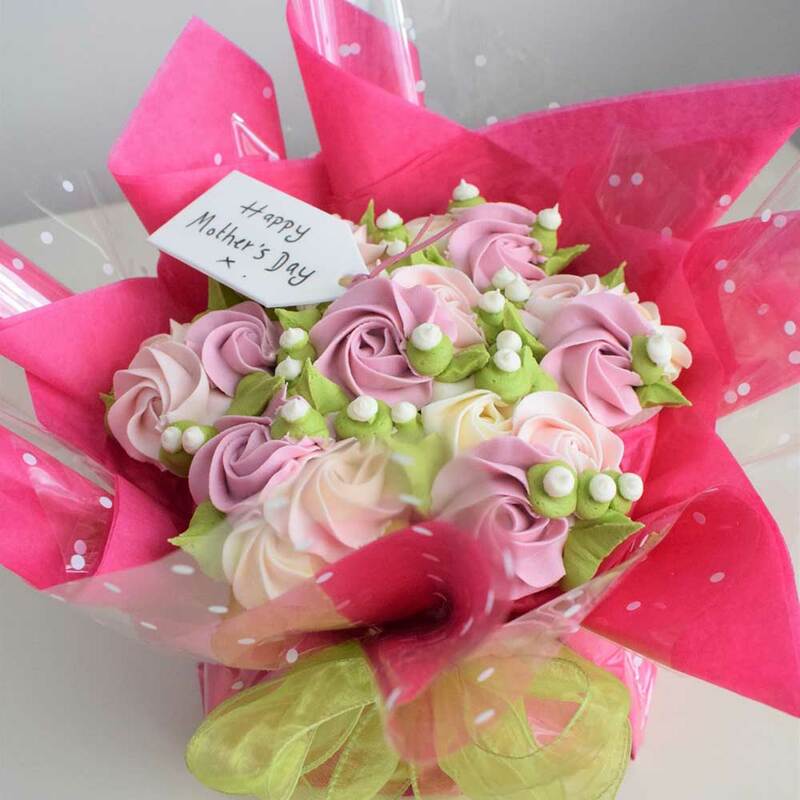 You will practice piping rose swirls, leaves and gypsophila before assembling and frosting your own Boucake. Then making and adding an edible gift tag. Take your Boucake home to give as a present or eat yourself! Please note the cupcakes will be provided already freshly baked. All equipment and materials needed for this class will be provided for you to use on the day. Course is suitable for beginners. In this class you will learn how to cover a board. 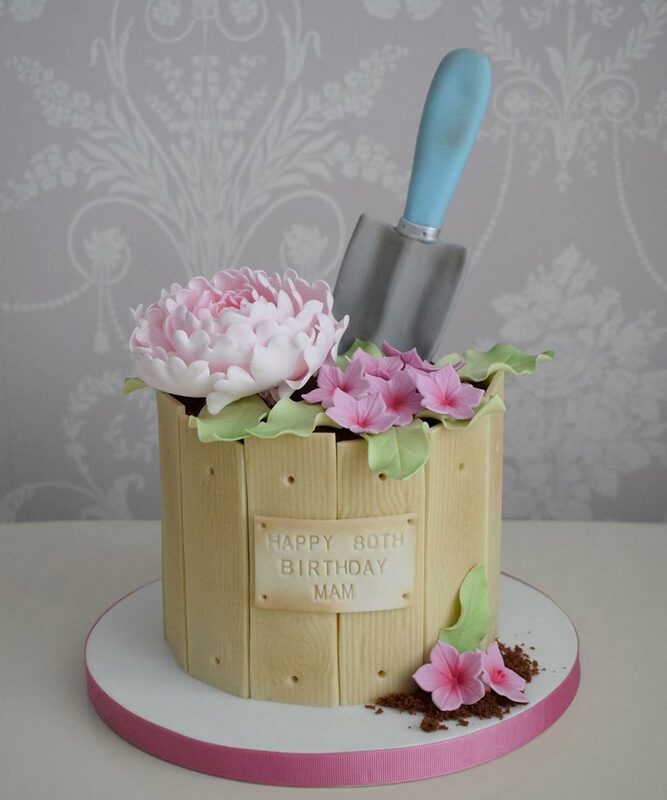 Then you will model a trowel from fondant before learning a simple method of creating wood effect. I will teach you how to make a beautiful large peony flower along with some simple cut out flowers and free-hand leaves. You will get to practice simple airbrushing technique. Then you will trim, fill and crumb coat your cake. Put everything together and add the finishing touches. All equipment and materials needed for this class will be provided for you to use on the day so just bring yourself. You get to take your work home with you. This class is for Beginner to Intermediate level students who have had a little cake decorating practice previously. In this class you will learn how to trim, fill, ganache and cover cakes. One tier will be a dummy, which you will also cover and I will show you how to create sharp edges on your fondant. You will learn how to make beautiful sugar flowers including Garden Rose, Peony, Ranunculus, Anemone and Hydrangea. You will learn how to pipe simple garlands on your cakes and how to dowel and stack them and put everything together. All equipment and materials for this class will be provided for you to use during your time at Boucakez and you will get to take your work home with you. An afternoon tea style lunch will be provided on both days as well as drinks throughout. This class is for intermediate to advanced level students.